Just four months after the debut of its first superhero series, Titans, DC Universe introduced its newest team of superheroes—and they’re the weirdest ones yet. Doom Patrol will soon premiere on DC’s new streaming service, and the show’s first trailer introduces the characters who will make up the dysfunctional team: Robotman (Brendan Frasier), Elasti-Woman (April Bowlby), Crazy Jane (Diane Guerrero), Negative Man (Matt Bomer), and Cyborg (Joivan Wade). 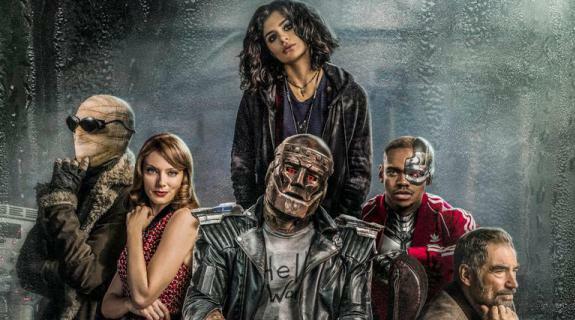 Unlike other superhero teams, Doom Patrol is not only united by a shared desire to protect the city from the evil villain, Mr. Nobody (Alan Tudyk)—they’re connected by their reputations as unconventional heroes who have some issues to work out. Watch the chaos unfold February 15 on DC Universe.